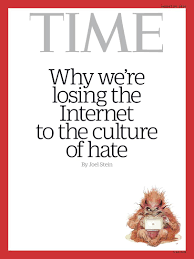 I read the latest Time magazine about the internet and trolls. Part of the article was on reddit and how trolls enter areas. It seems like reddit is a major hotbed of trolls. I am really leery about going onto reddit. I signed up and joined groupthink there but now really rethinking it. I adore you guise but cannot deal with todays trolls. I just pray kinja does not go away.